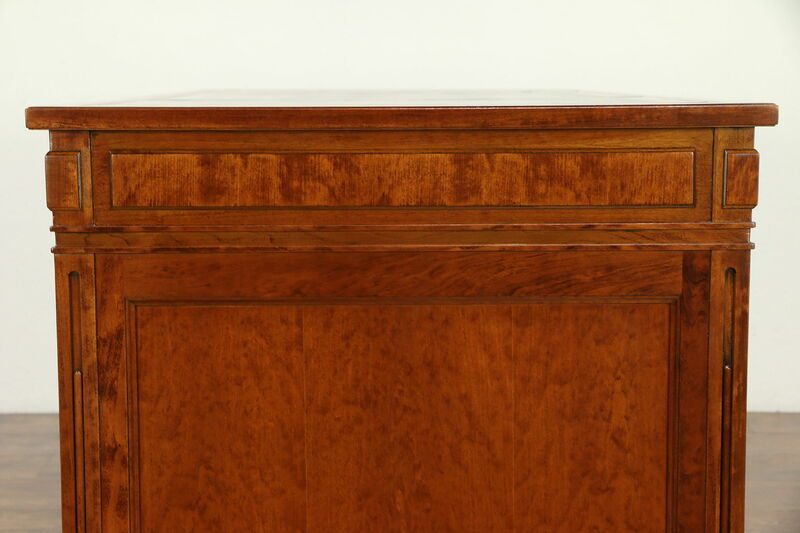 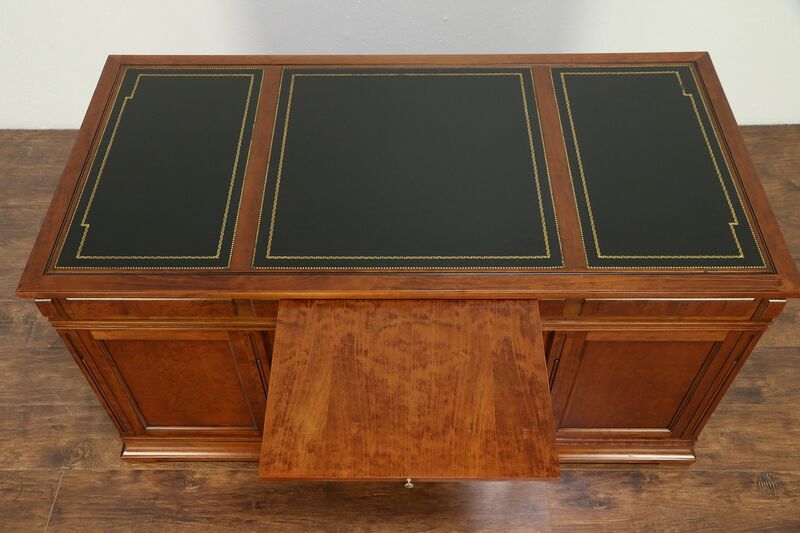 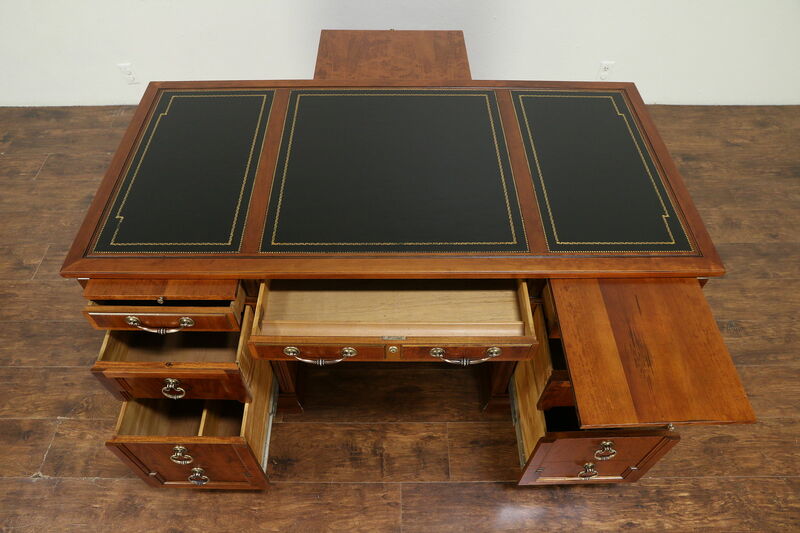 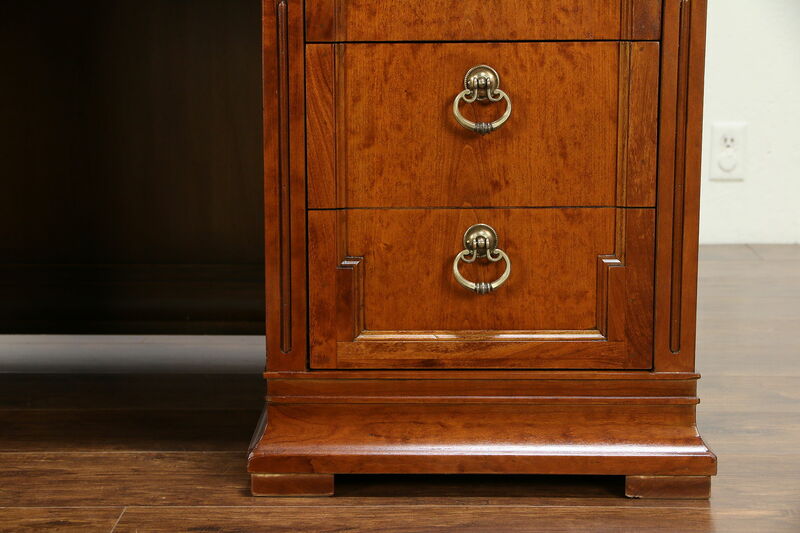 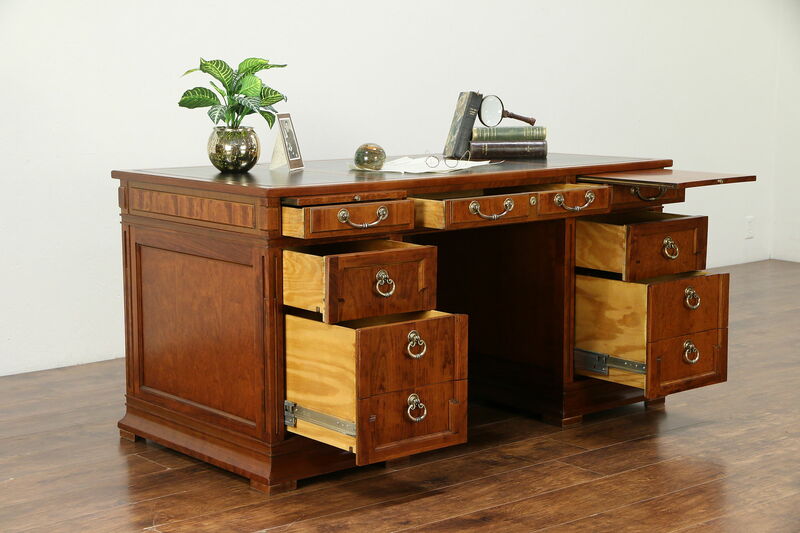 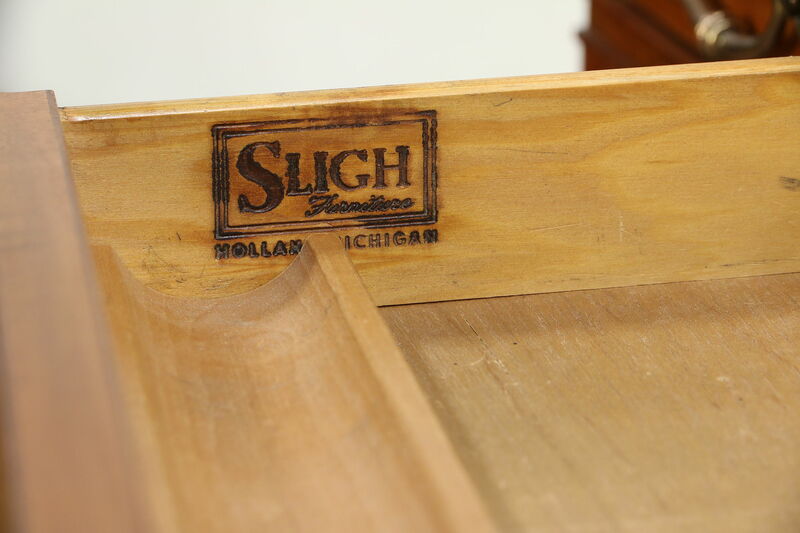 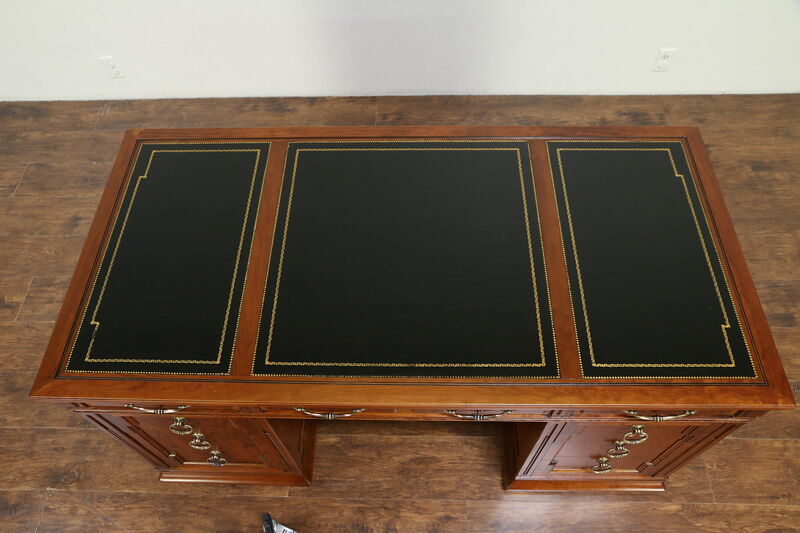 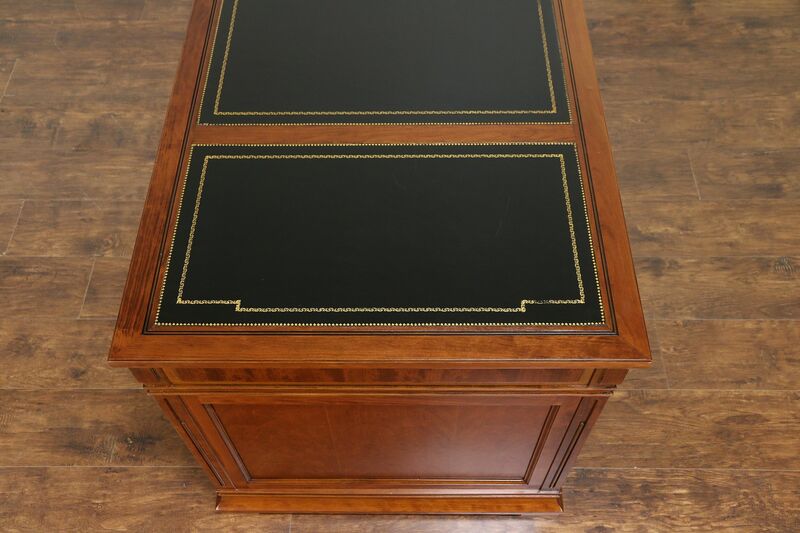 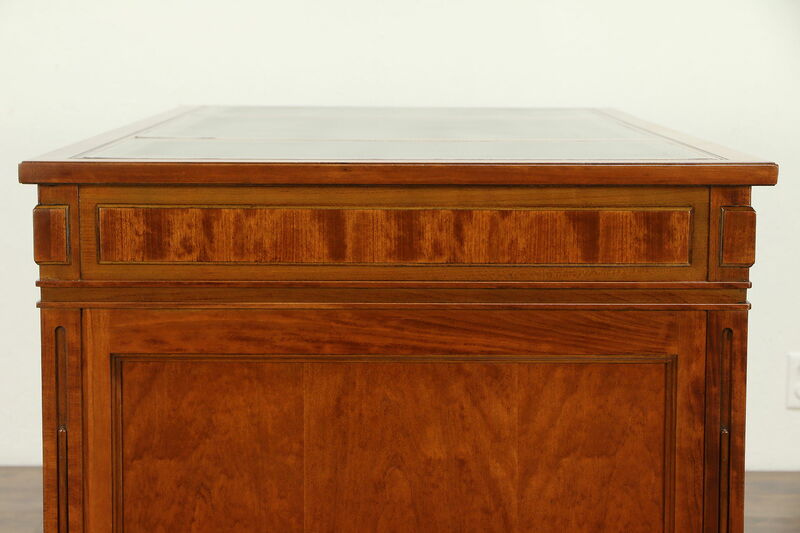 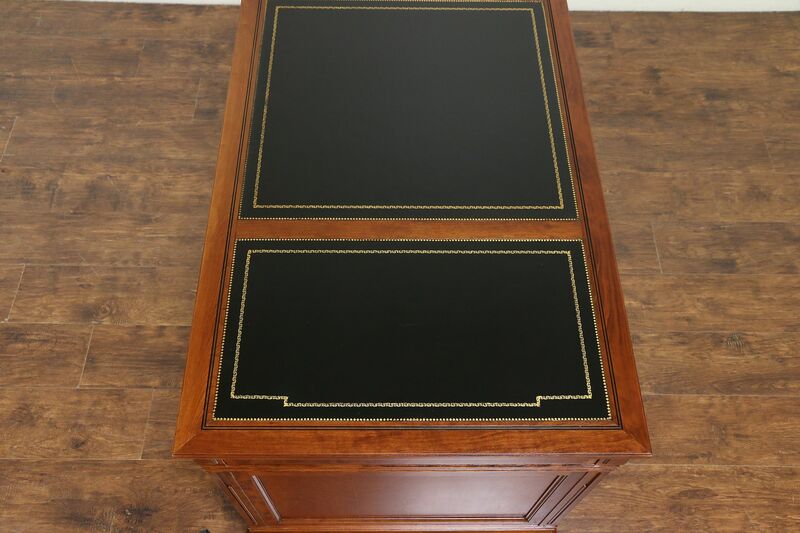 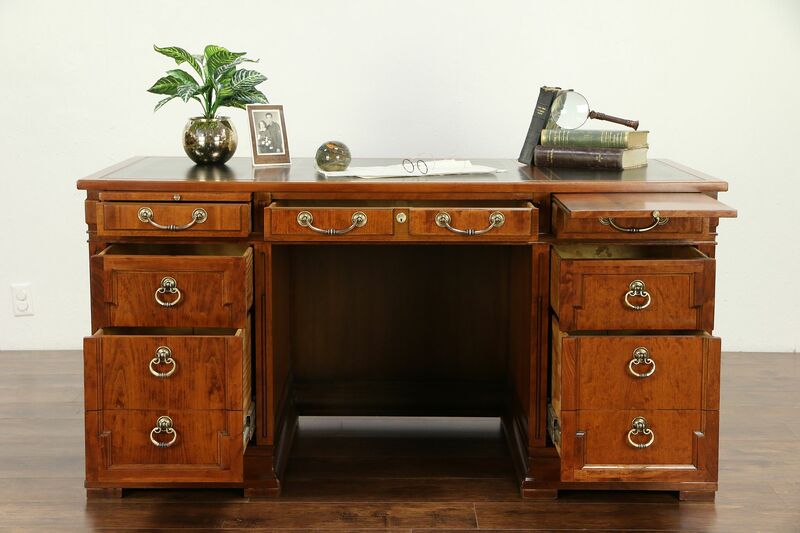 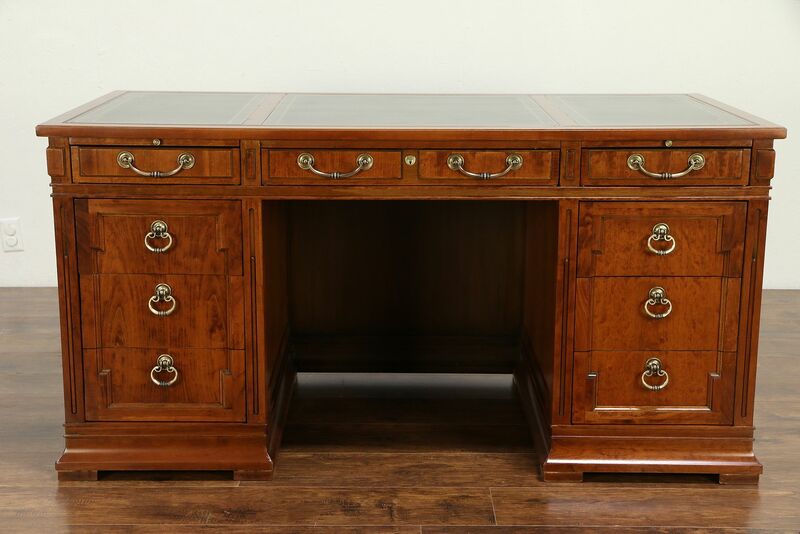 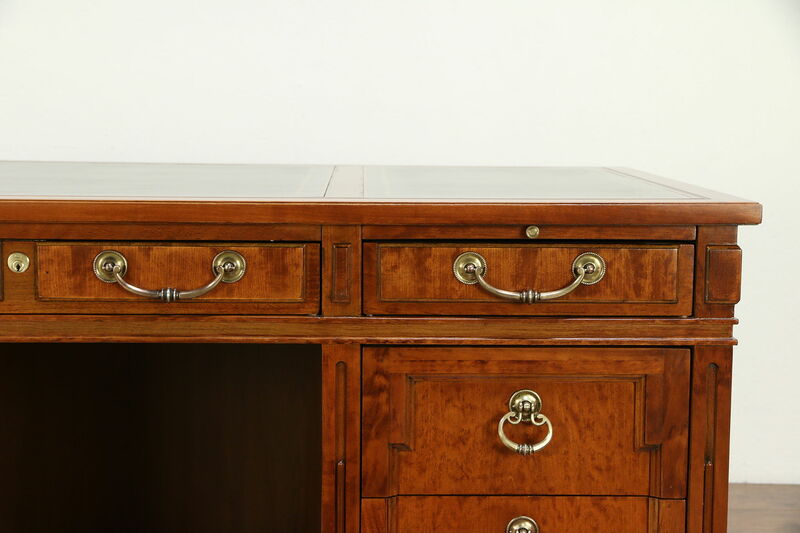 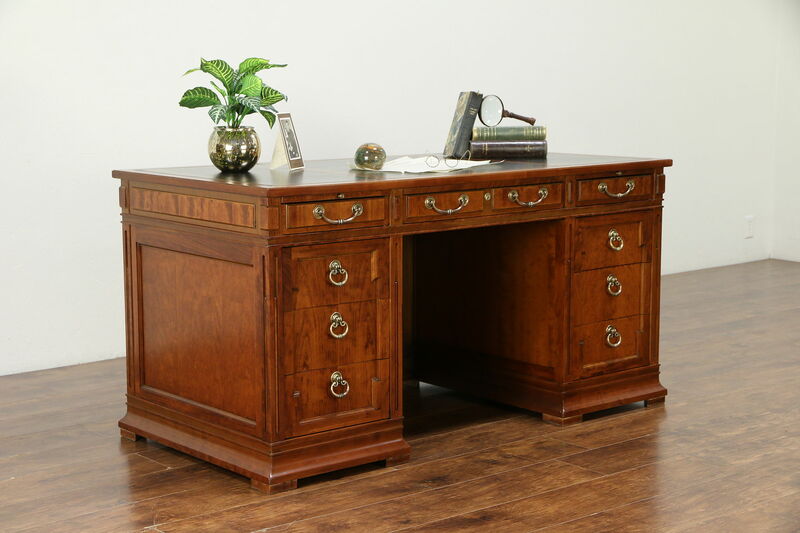 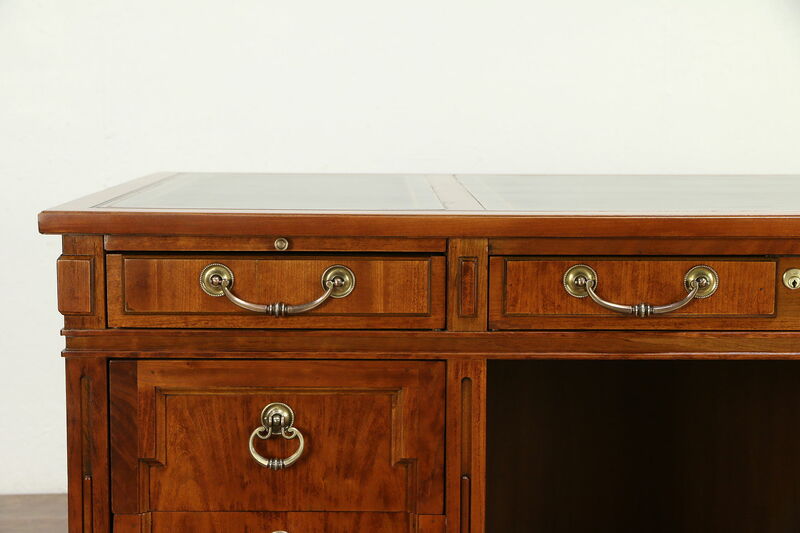 A traditional cherry desk from about 25 years ago has gold tooled leather panels and is signed by noted maker, "Sligh of Holland, Mich." There are two file drawers, two pull out work shelves and a pull out interview shelf on the other side. 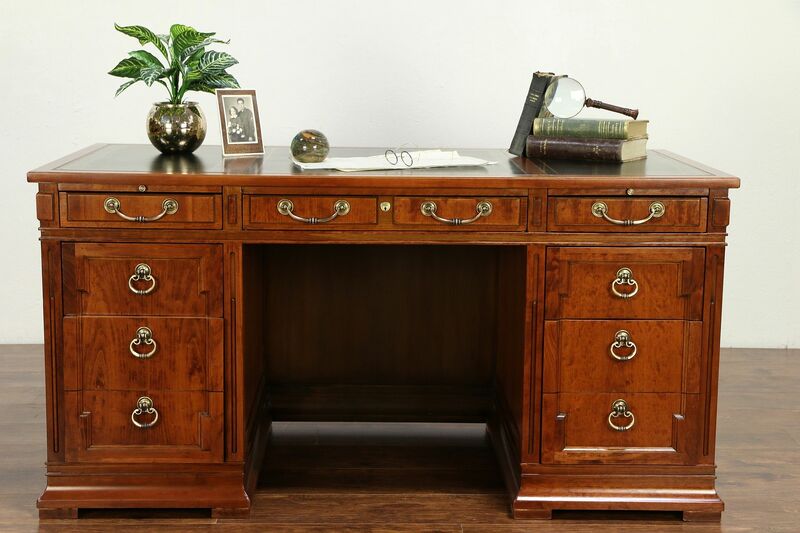 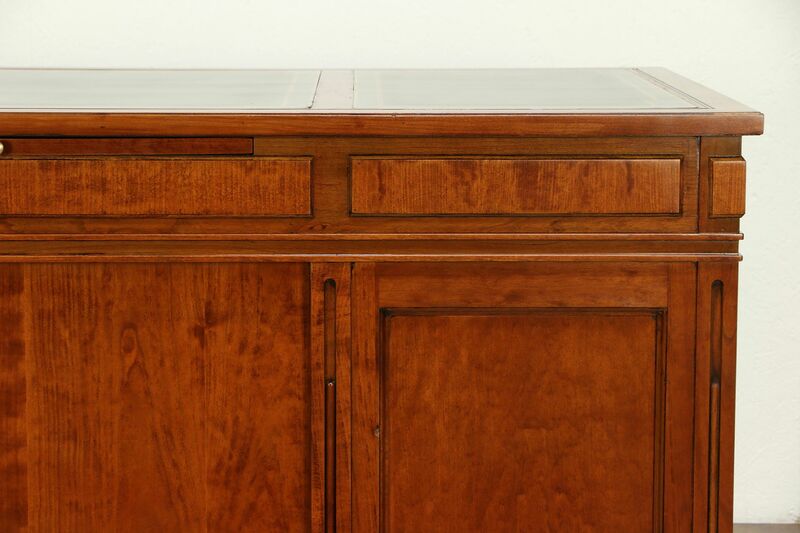 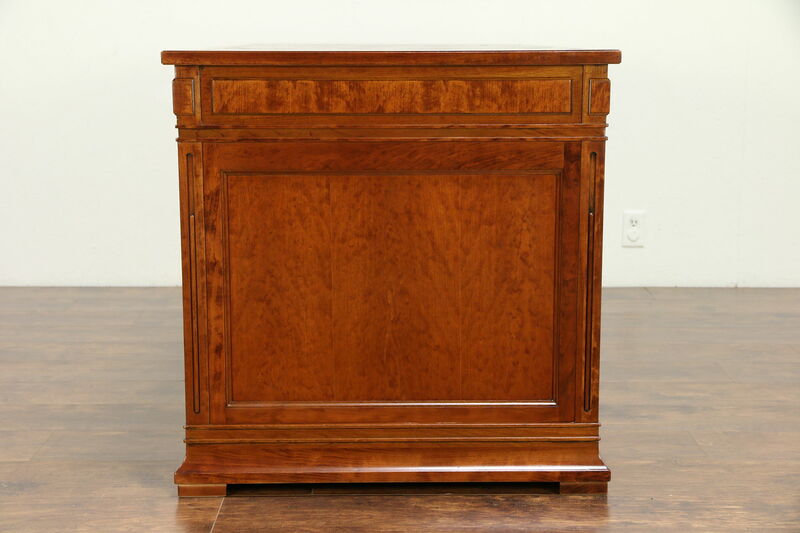 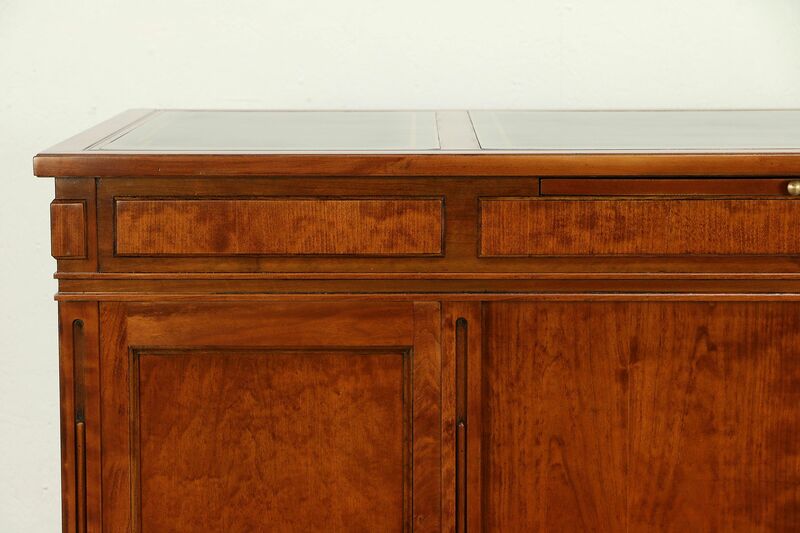 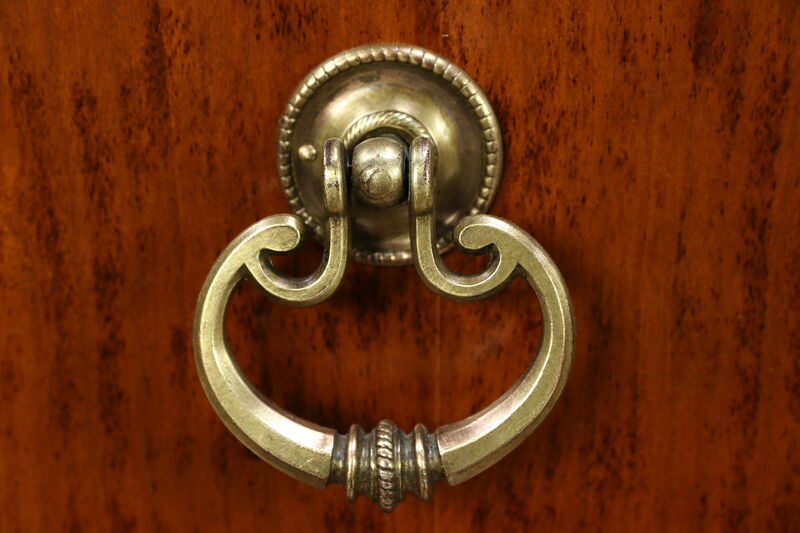 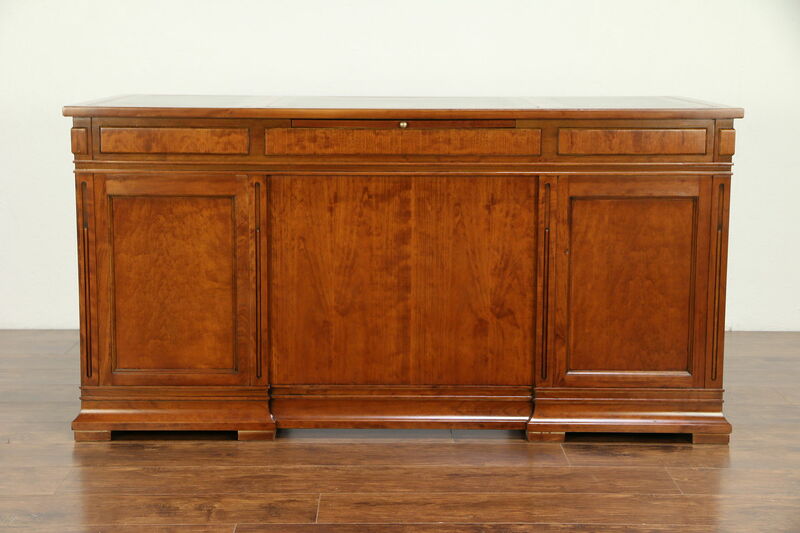 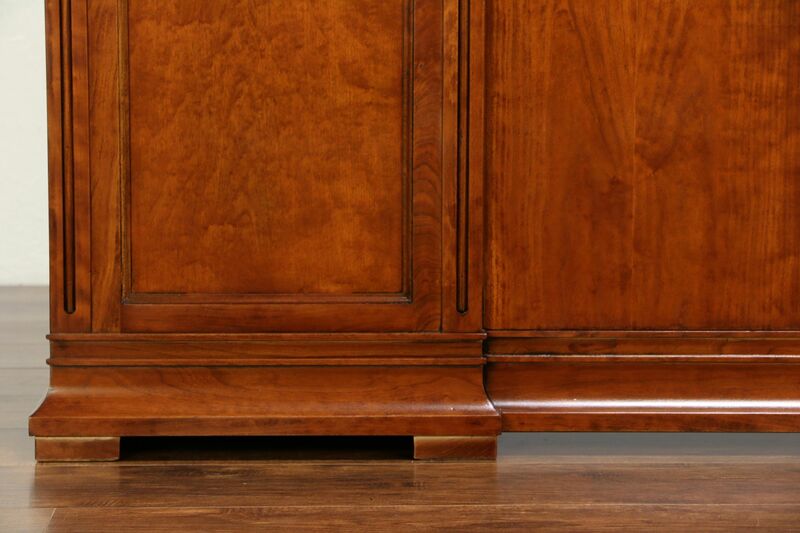 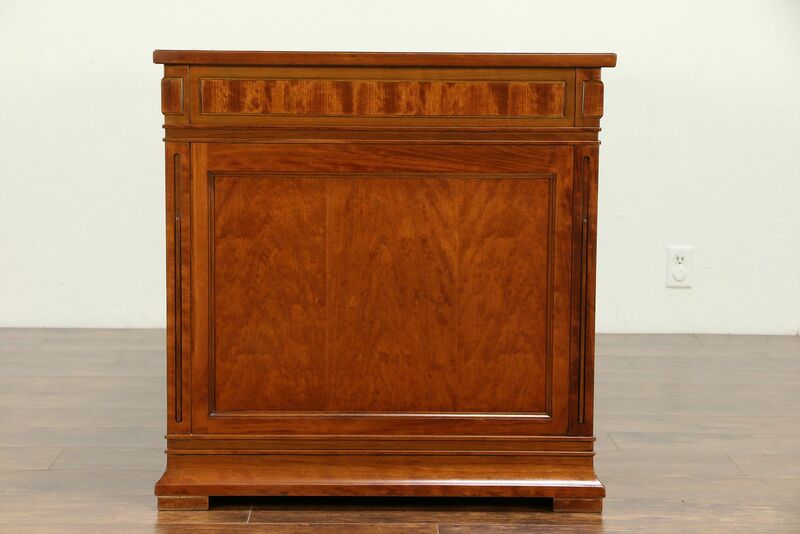 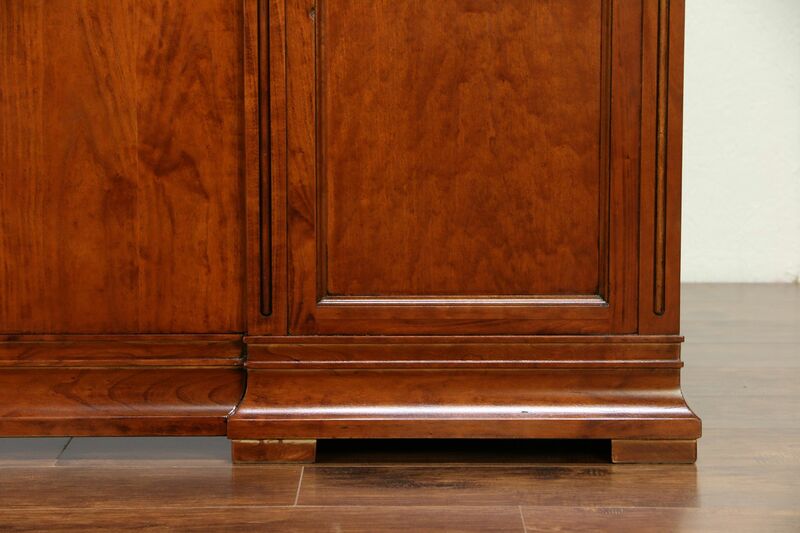 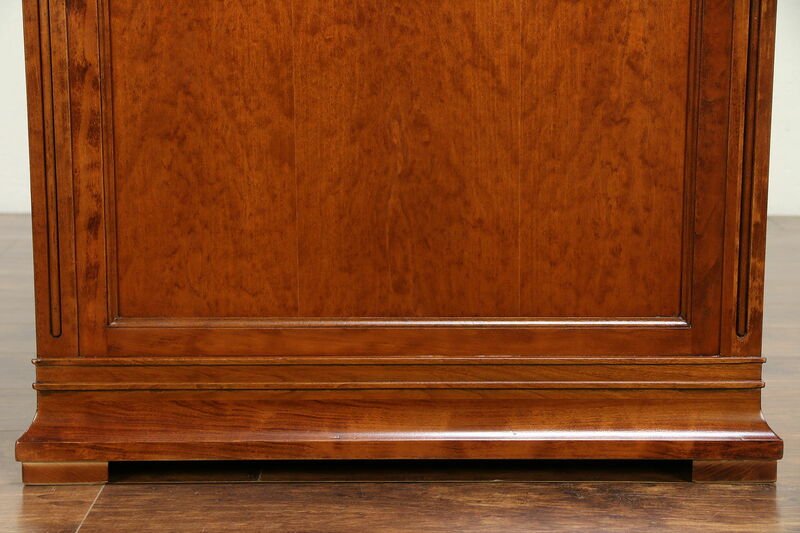 The restored finish is in excellent condition on this American made vintage library or office furniture. 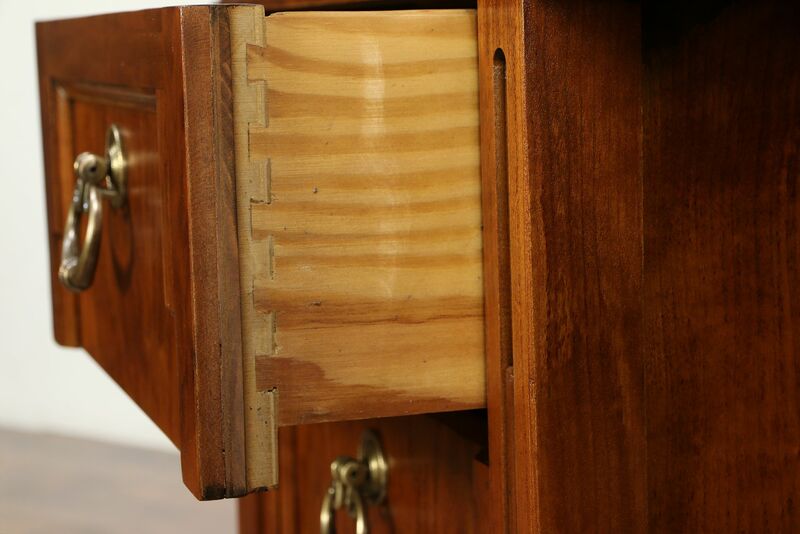 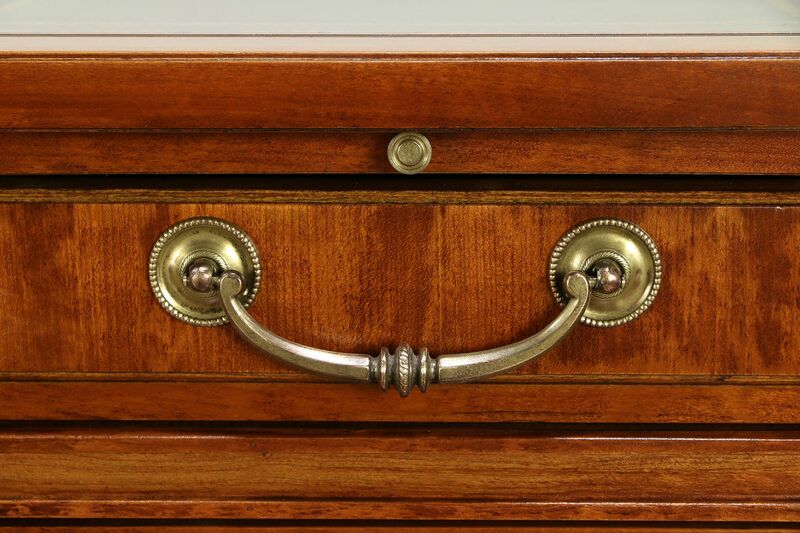 Drawers have original hardware and dovetail joints. 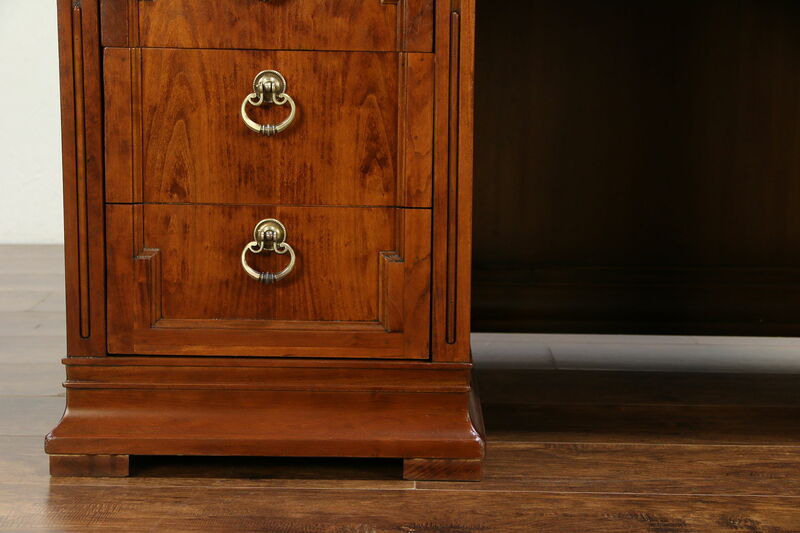 There are minor mars on the leather for a little character, see photos. 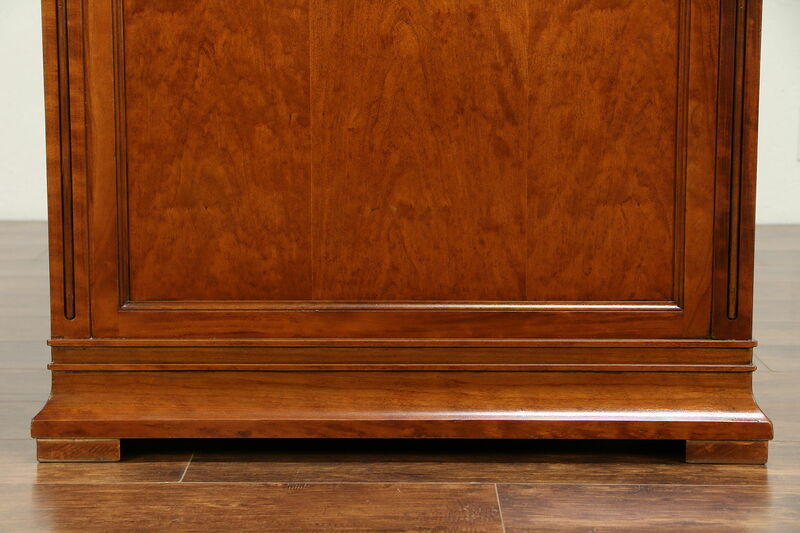 Measurements are 60" long, 30" deep, 30 1/2" tall and the knee hole is 23" wide and 24 1/2" high.